September was certainly the month in which the network had the opportunity to examine our values and the challenges of trying to steer our life, and work, by them. 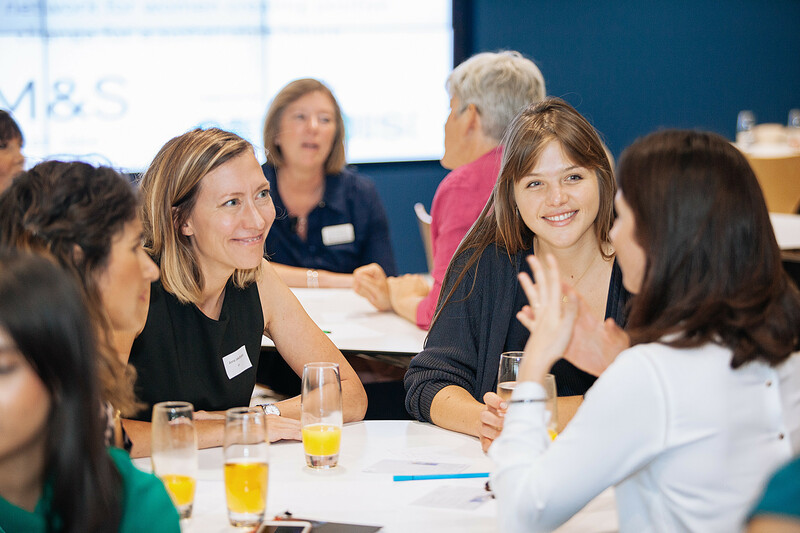 With very well attended events at both our London and Bristol hubs, the conversations were lively and at times, challenging, as we navigated the balancing act of being true to ourselves, and recognising the real world realities of the environments we all live and work in. One theme that emerged from both London and Bristol, was a recognition that we’re not actually spending sufficient time understanding what our own personal values really are. Often the ones that trip off our tongue more readily, such as authenticity and honesty, are not actually the driving values behind our choices. Creating space in our busy lives to do some quiet reflection was identified as a real ‘must’ but not something the women attending the events necessarily found easy to do. We are all seeking better work life balance it seems. To help share the output from our events in London and Bristol, here is an edited list of some of the core challenges, with possible solutions, the network discussed. 1. Identifying values and keeping up an awareness of what these are. 2. Balancing person and work ambitions. 3. Staying true to your values in a non-value driven environment. 4. Having the confidence to speak out and ‘honour’ your values. 5. Compromising values over commercial viability. 1. Setting aside quality time in the right environment to reflect, recognising the distinction between ‘core values’ that we are already ‘living’ in our behaviour, choices and priorities, and those values that are more ‘aspirational’, that we’ve in the process of evolving but not yet fully exhibiting. 2. Setting boundaries and making conscious decisions. Remaining firm with those decisions – having it all is a myth. 3. Encouraging your organisation to develop a clear, written set of values, that staff themself has helped to create, making the distinction between those values that are ‘core’ and those that are ‘aspirational’. Ensuring behaviours are held accountable to those set of values. 4. Confidence and assertiveness training and practice. Having a ‘buddy’ or mentor with whom you can ‘reality check’ what is going on. 5. Engaging with ‘what are our core values’ conversations in the work place, challenging and calling out misconceptions over false assumptions with sustainability and the ‘bottom line’, be ready to listen and understand competing voices, seeking progress as a step-by-step process. Engaging with our values doesn’t obviously stop with one evening or morning’s discussion. Fortunately in October there is a fantastic opportunity to re-connect with your values again. World Values Day is on 19th October and offers a wonderful opportunity for you as an individual, or your organisation to get clear about those deeply held values and to act on them. Sign up to World Values Day Challenge here and access some great ideas and resources to initiate ways in which you can close they gap between how you currently live your values and how you’d like to.